Enhance your living space with natural air purification and a soothing amber glow that let you feel relaxed and refreshed! There is something about the air in Austin that makes my whole family sick. People around here will call it ‘cedar fever’, but that’s just a nice way of saying that the air we breathe is trying to choke us to death. While we have tried everything – from netty pots to humidifiers, I was surprised that one of the most effective ways to combat respiratory issues naturally was with a Himalayan Salt Air Inhaler Kit. I’ve seen the Himalayan Crystal Salt lamps from time to time and I always thought, ‘one day’…but wasn’t sure if I should make the purchase. But, hey, that’s what Mother’s Day is for, right? 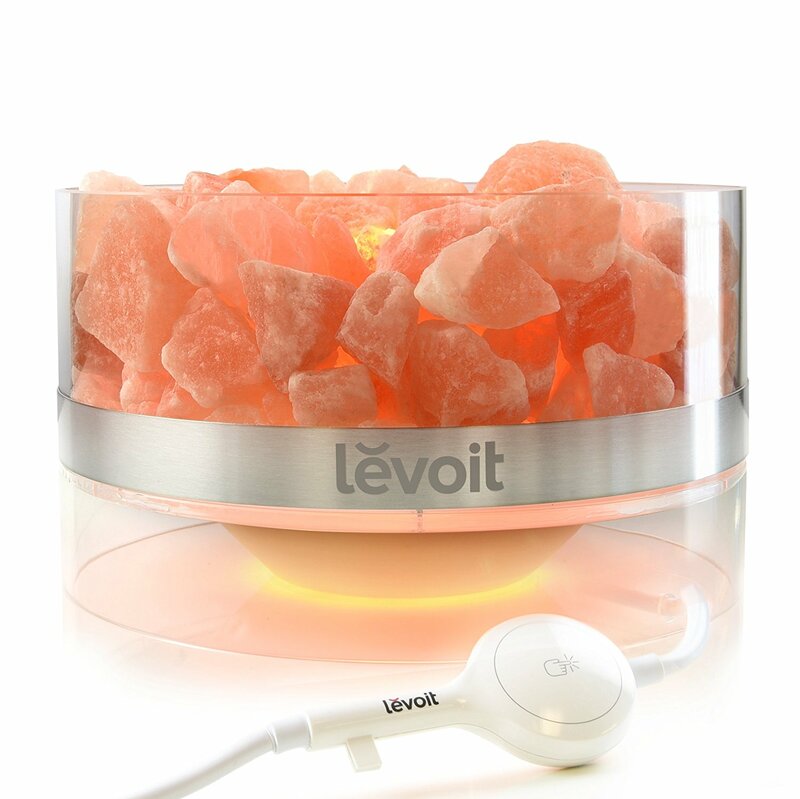 Pamper yourself with the awesome Levoit Aria Himalayan Crystal Salt Lamp! How does salt help with respiratory issues? The first use of Salt Inhalation Therapy started in 19th century Poland when people began to notice a connection of respiratory health within the salt mine workers. Rooms of salt to treat tuberculosis became very common and were called ‘speleotherapy’. 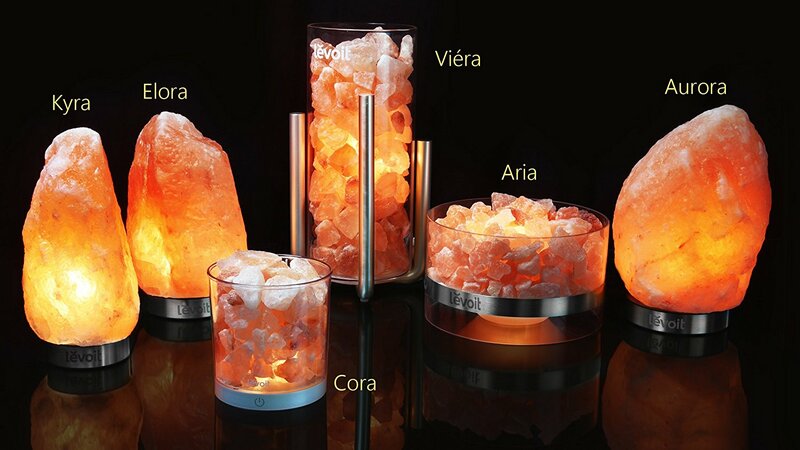 While I can’t transform my house into a salt cave to test this theory, the Levoit Aria Himalayan Crystal Salt Lamp does re-create a similar ‘salt chamber’ experience in a salt lamp that can be refilled with Himalayan salt. 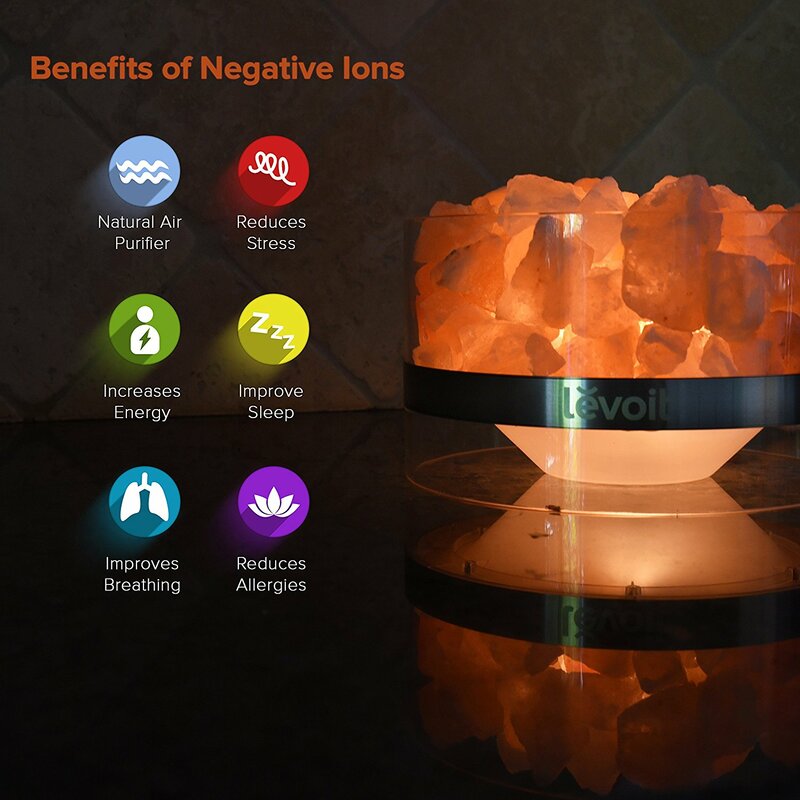 Counteract harmful smog produced by your electronic appliances through natural ionization. This hand-mined Himalayan basket-style crystal salt lamp is hygroscopic, meaning it absorbs surrounding water molecules in the air. Using the small amount of heat produced from its light bulb, the lamp evaporates the water attracted to the crystals. The evaporated water is negatively ionized; negatively ionized particles attract pollution and other harmful contaminants and allergens, pulling them out of the air so you breathe easier and feel recharged. After a long, stressful day, the Salt Lamp’s calming amber glow soothes your weary spirits and reduces your stress levels. Use the simple touch control button to adjust the brightness level of the lamp to suit your mood. Whether you’d prefer a luminous glow for relaxing, soft illumination to lull yourself to a serene slumber, or any level in between, you’ll always find your perfect balance. Enjoy the many holistic health benefits that this salt lamp delivers, including alleviation of respiratory problems. 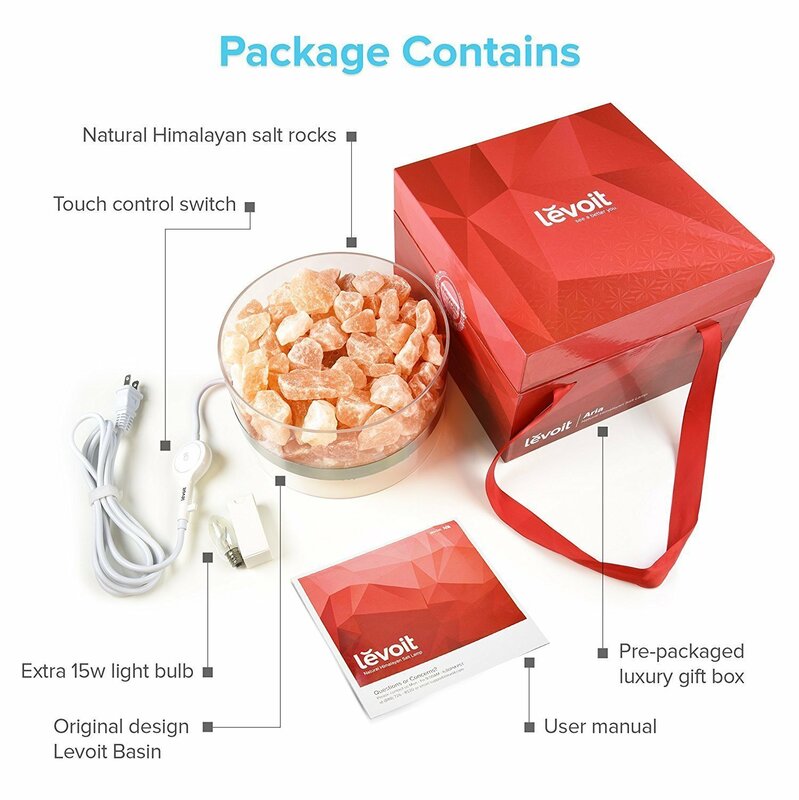 The Levoit Aria Himalayan Crystal Salt Lamp is a large size lamp that is 10 x 10 x 6.5 inches to help you feel physically and mentally rejuvenated thanks to the natural healing powers of the Levoit Himalayan Salt Lamp. I love that you can adjust the brightness of the lamp and the soothing glow sets the entire mood of the room. The lamp and rocks are never hot to the touch, so I don’t have to worry about my young daughters messing with it and getting hurt. This lamp is well worth the price as it looks high end and it is packaged beautifully with the salt rocks in a sealed container, extra bulb, and a beautiful box with a ribbon. 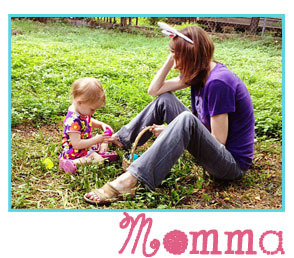 It is Fantastic and I recommend it as a gift to your momma! Caution! Like all natural remedies, there are certain warnings that come with using items that are not FDA regulated. About Levoit: Levoit is an Anaheim, CA based company that specializes in innovative and holistic wellness. Add some Levoit products to your routine and style elements to your home to recharge. #GetYourGlowOn.